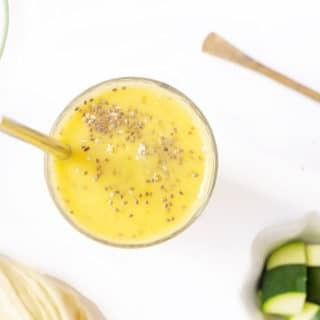 April 10, 2019 by Emily Brees 1 Comment - This post may contain affiliate links. 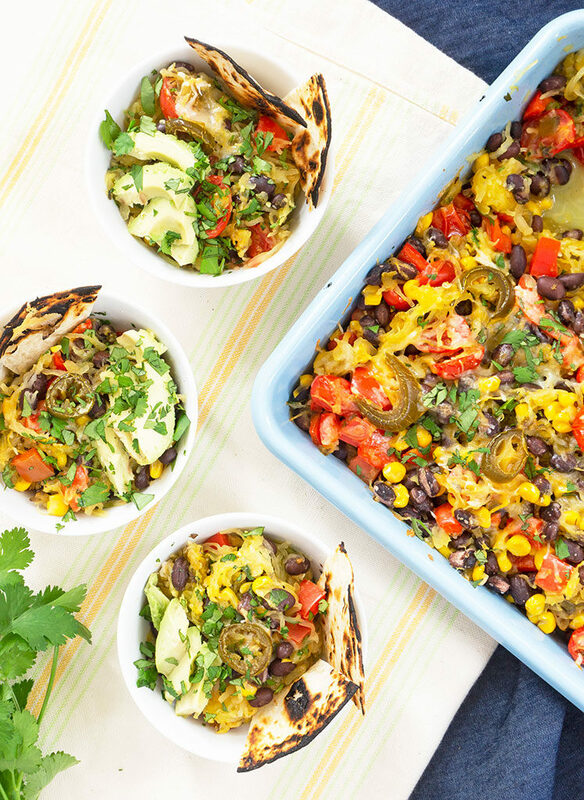 Mexican Spaghetti Squash Bake is an easy weeknight casserole loaded with black beans, bell pepper, cherry tomatoes, corn and green chilies. Served with sliced avocado, shredded cheese and pickled jalapeños. Winter squash is easy to cut. Said no one ever. 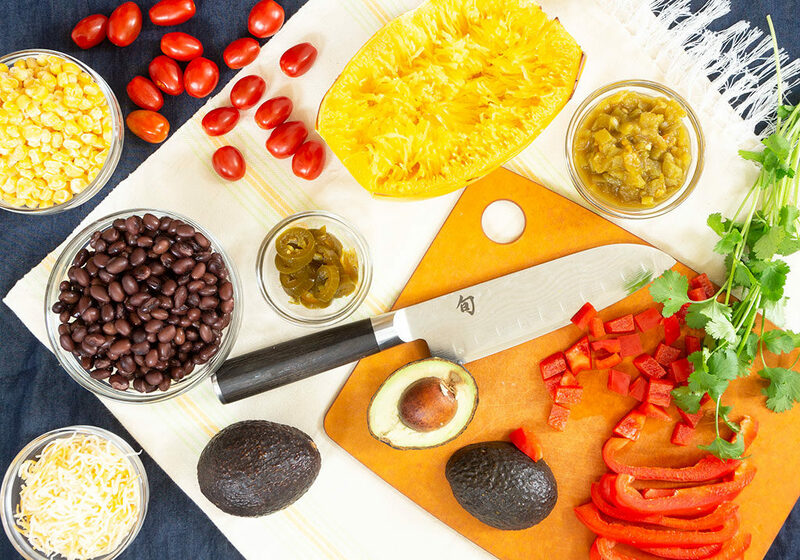 Do you ever feel like your knife is going to break in half cutting a spaghetti squash? And sometimes your knife gets stuck right in the middle. Why the heck isn’t there a special kitchen saw for these? Honestly, I’ve tried several methods and watched multiple Youtube videos thinking there must be a magic way. None make the job any easier. My method is to use a serrated knife to cut off the top and then the bottom. This makes a flat surface on either end to secure the squash when slicing it in half vertically. Then I take a large knife and apply even pressure back and forth until the knife makes it through. On occasion the knife gets stuck halfway through the squash. I simply pick up the squash using the handle of the knife and bang the squash on the cutting board to force the knife past the spot where it’s stuck. BONUS: The arm workout you get from cutting these is free. 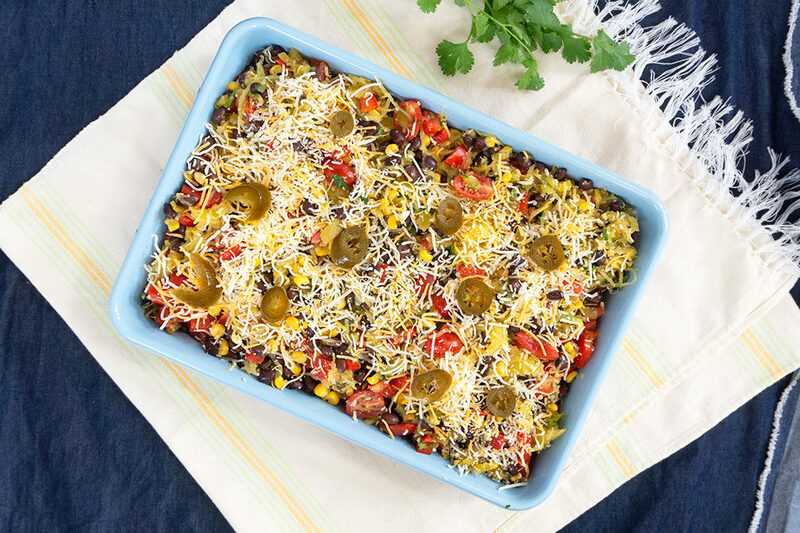 Mexican Spaghetti Squash Bake is an easy weeknight casserole made with black beans, bell pepper, cherry tomatoes, corn and green chilies. 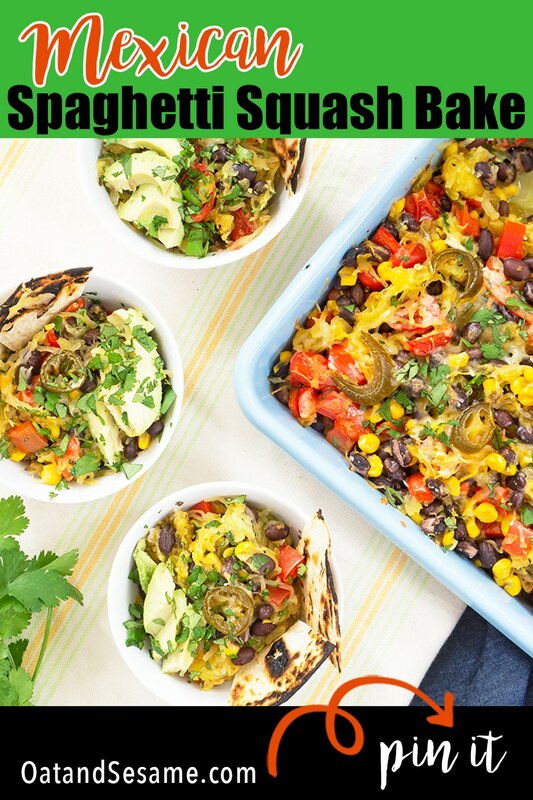 Serve it topped with sliced avocado, shredded cheese and pickled jalapeños. Cut spaghetti squash in half. Remove seeds. Rub with olive oil and sprinkle with a few pinches of salt and pepper. Bake cut side down on rimmed baking sheet – 400F for 40 minutes or until you can pierce through skin with a fork. When the squash is cooked and has cooled enough to handle, use the tines of a fork to scrape the spaghetti into a large bowl. 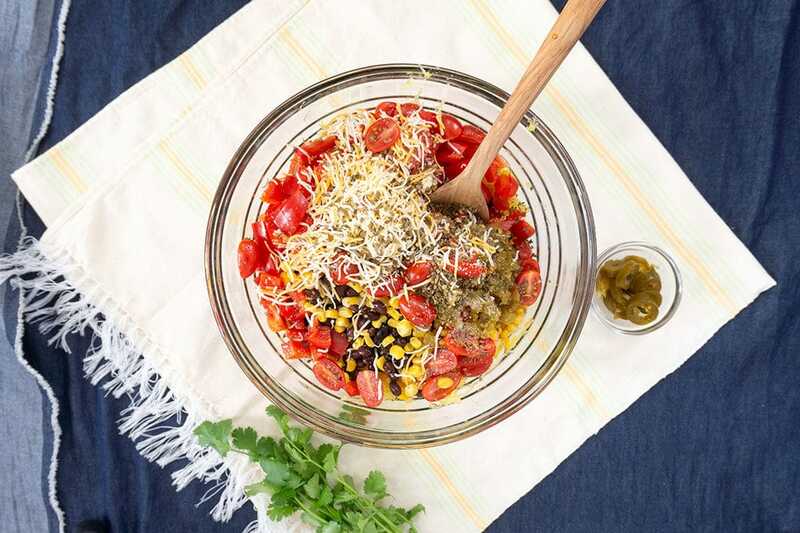 Mix in black beans, diced red pepper, green chilies, corn, tomatoes, half of the cheese, cilantro, dried oregano and salt. Place in 8 x 10 casserole dish. Top with remaining 1/2 cup of cheese. Place slices of picked jalapeño on top, if desired. Bake at 350F for 20 minutes. 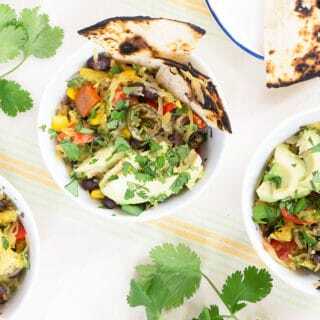 Serve with sliced avocado and extra cilantro. This dish reheats and also freezes well. 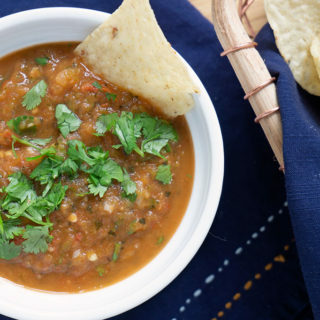 Add crushed tortilla chips to the top before serving for a crunchy top! 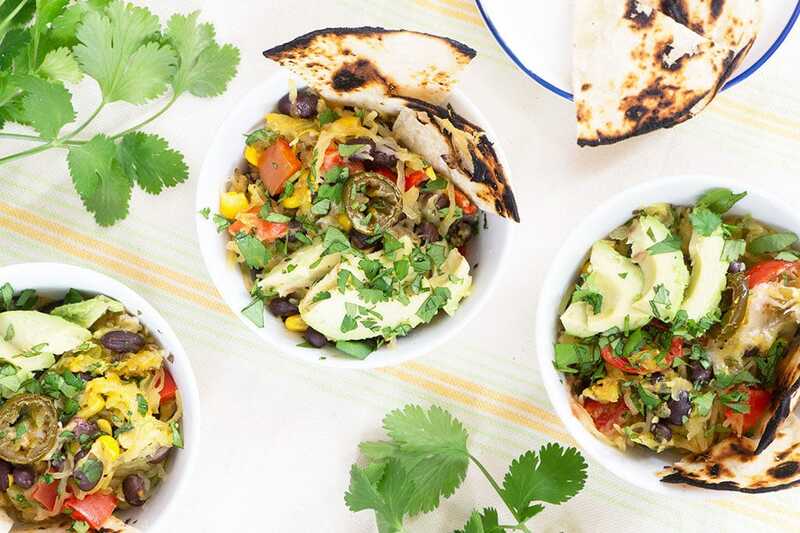 The versatility of spaghetti squash is pretty awesome.